Map It! Okinawa: "The Benoki Utaki"
A small rustic-like wooden utaki* sits up in the forest hills of Benoki in Kunigami Village. It's not your typical style that is usually found in most parts of Okinawa where large stones and concrete slabs make up the majority of the composition. 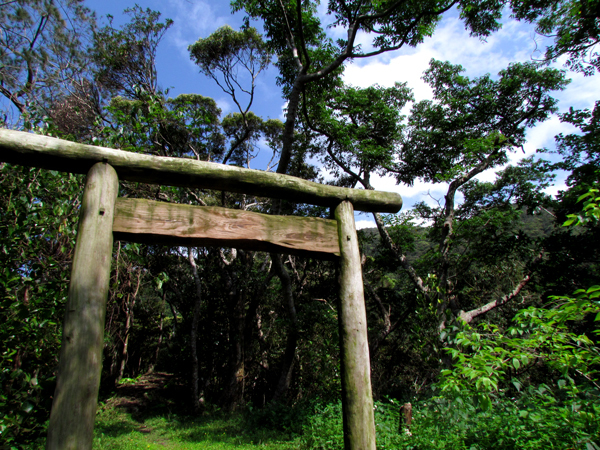 What also makes this utaki stand apart from others is that it has a large Torii Gate made of natural log wood standing at the entrance. 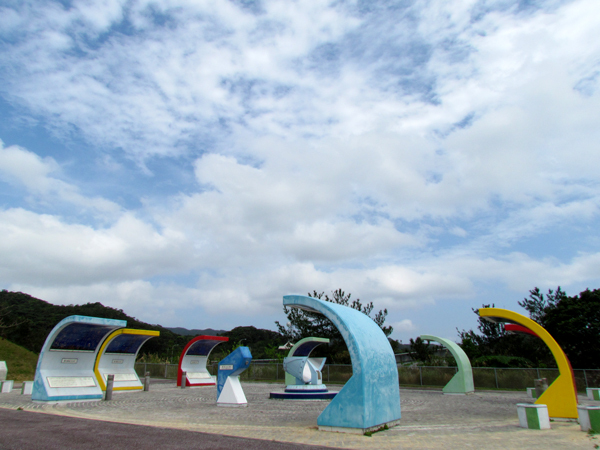 Most Torii's found on Okinawa are made of fabricated material or concrete. Perhaps there is a reason for this forest-style design. One of the residents of Benoki had said long ago, the men of Benoki used to go up in the hills to cut 'log wood' for day-to-day living material. The sacred grounds was used to pray for safety as they ventured up the 'forest' hills. Today, the utaki is used to give thanks and pray for good fortune and prosperity. 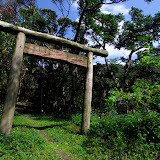 He had also mentioned that the origins of the sacred area date back around the time of the Okinawan War. It is also important to note that the Torii Gate is an adaption originating from Mainland, Japan. 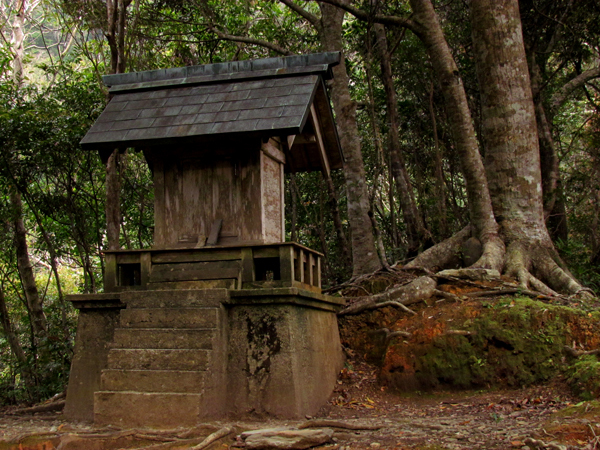 The Benoki Utaki sits along the a stream that originates from the Benoki Dam not too far up the road. 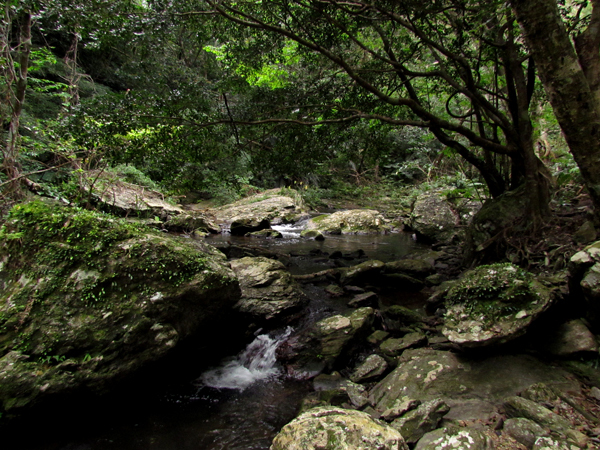 There is a path from the utaki that takes you down to the one of the bends in the river. The Benoki Dam Park appears to be largely unused. However, they do have an interesting set of Constellation Charts for a night time getaway on a clear night. 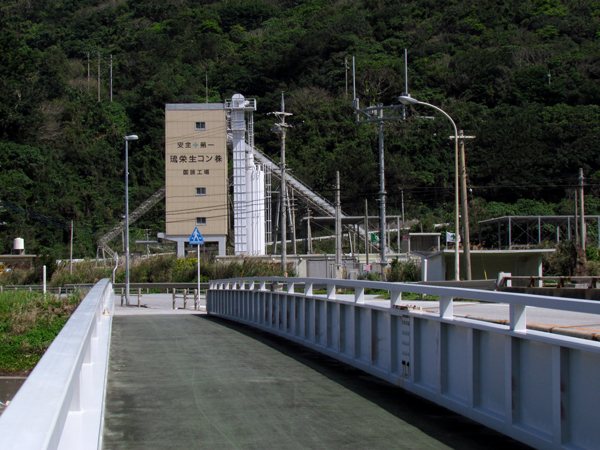 If you are staying a few nights at the Okuma Recreational Facility then this might be an option for you and the family on a night time excursion. Directions. The main turn-off is off of Highway 58. The LandMark Icon will be a Silo-like structure. The road will zig-zag up the hills and you will see the wooden Torii next to a small concrete fenced off building. 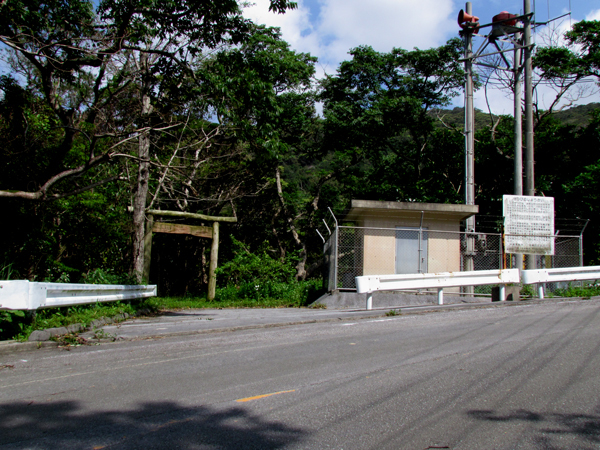 If you were to go further up the road, you will run into the Benoki Dam.